Democratic politicians and national security experts were up in arms over the news that President Donald Trump was revoking the security clearance of former CIA Director John Brennan. The highly unprecedented move was perceived by many to be a thinly-veiled attempt to intimidate a prominent critic of Trump. Here is a sampling of some of the reactions from top Democrats, lawyers, and national security experts. Wednesday’s announcement that President Donald Trump was revoking the security clearance of former CIA director John Brennan caused an outpouring of shocked, confused, and dismayed reactions from Democratic members of congress, as well as several prominent national security and intelligence experts. While making the announcement in the Wednesday afternoon press briefing, press secretary Sarah Huckabee Sanders said the White House was also reviewing the statuses of security clearances for several other former national security officials for potential revocation. Those officials have also publicly criticised Trump. Democratic politicians and national security experts immediately began expressing their confusion and disappointment for what they view as a politically motivated and even despotic use of political power to punish a dissenter. Brennan then discussed the matter further with MSNBC host Nicolle Wallace. 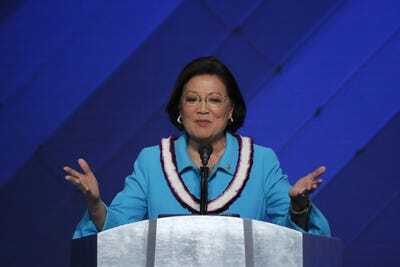 Democratic Sen. Mazie Hirono of Hawaii slammed Trump as “vindictive” and “petty”. Mark Wilson/Getty ImagesHouse Budget Committee ranking member Chris Van Hollen. Michael Bromwich, a former inspector general for the Department of Justice and US attorney, accused Trump of criminalizing free speech. He’s currently representing fired FBI Deputy Director Andrew McCabe. Bradley P. Moss, a national security lawyer who specialises in security clearance cases, said Trump was acting like a “whiny tyrant”. There is no reason – none – to revoke the eligibility for access of Brennan or any of these other former officials. If the Trump WH doesn't want them to have "access", they just don't' consult with them. This is how a whiny tyrant acts, not a President. Politics have NOTHING to do with security clearance adjudications (other than violent attempts to overthrow Govt) and @POTUS action to revoke @JohnBrennan's security clearance is pure political payback. This is a disgraceful exercise of presidential authority. Just because a President has constitutional authority to take an action doesn't mean it's a prudent or appropriate thing to do. Using national security as a political weapon is what authoritarian regimes do, not the United States. @POTUS action sets a horrific precedent. Zaid is the founding partner of Mark S. Zaid, PC a DC law firm that represents “former/current federal employees, intelligence and military officers, whistleblowers and others who have grievances or have been wronged by agencies of the United States Government or foreign governments,” according to its website. Laurence Tribe, a professor of constitutional law at Harvard Law School, suggested the seemingly politically motivated revocation could even be an impeachable offence. Both former Director of National Intelligence James Clapper and former Director of the National Security Agency Michael Hayden called into CNN to share their reactions to the news. 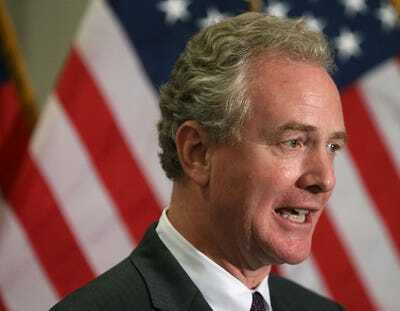 “I will continue to speak out, regardless of whether I have a security clearance. If they are saying that the only way I can speak is to be in an adulation mode of this president, I’m sorry but I do not think I can sign on for that,” Clapper added. Eric Columbus, a former special counsel in the Department of Justice and Department of Homeland Security during the Obama administration, pointed out the troubling consequences this could have for the millions of federal employees and federal contractors who hold clearances. Let's be clear: yanking Brennan's clearance doesn't matter for Brennan *but* it may have a huge chilling effect on others. Folks who rely on an active clearance for their private sector jobs now might refrain from criticizing the King for fear of losing their careers. Not good. But not everyone was unhappy with the decision. A handful of Republican members of Congress spoke out in favour of the president’s decision, including Sens. Rand Paul of Kentucky, John Kennedy of Louisiana, and Ron Johnson of Wisconsin.